This late in the year, you’ve more than likely started running your furnace already. After all, the temperatures have been getting fairly low as of late. In all likelihood, your furnace is running smoothly. However, there is a chance that it’s not; there is a chance that it needs professional attention. Are you wondering whether your furnace has encountered problems? 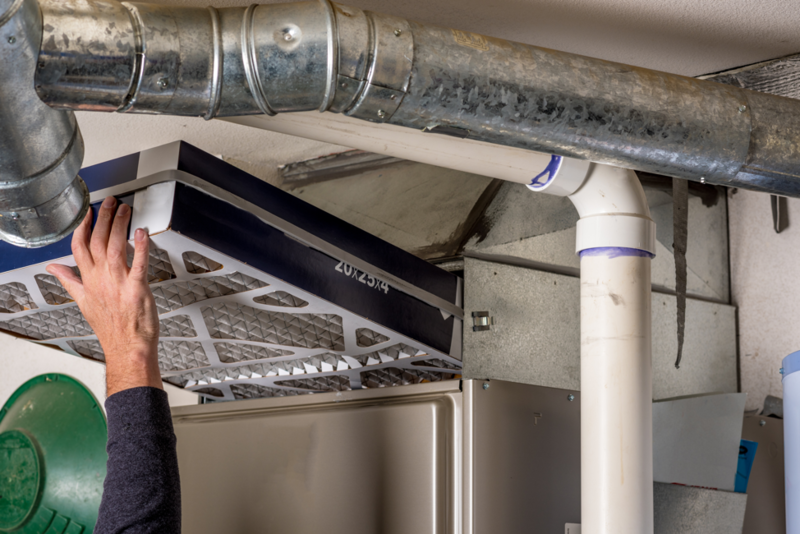 Here are some signs that your Lisle, Illinois furnace requires a repair. One of the most obvious signs that your furnace is in need of repair is if it’s making strange noises. When at full health, furnaces shouldn’t be making any noises other than blowing noises. Do you hear squeaky sounds coming from your furnace? If so, you are more than likely dealing with a loose belt. Do you hear loud, clunking noises coming from your furnace? If so, your HVAC air filter is probably in desperate need of a change. If you can’t get these noises to go away on your own, you will need to bring in a HVAC specialist. He or she will be able to identify the source of the noise, and make any repairs necessary to get your system operating as it should. Another sign that you furnace is on the fritz is if it’s emitting unusual smells. Strange smells can be indicative of both minor and major problems, and should be addressed as soon as possible. There are 3 strange smells that furnaces typically make. They include chemical smells, burnt electric smells, and gas smells. Gas smells are a huge cause for concern, and are typically indicative of a gas leak. If you smell gas, it is strongly recommended that you get out of your home immediately, call the emergency authorities, and then call your utility company. Chemical smells usually come from carbon monoxide that leaks out of a broken heat exchanger. Like gas smells, they are indicative of a serious and potentially dangerous problem. If you smell chemicals coming from your furnace, we recommend that you leave your home immediately and call an HVAC technician to make a repair. Burning electric smells from your furnace are indicative of a worn-out motor. If you smell these smells, you should call up a HVAC repair specialist to deal with the problem as soon as possible. Generally, when you make a change on your thermostat, your furnace should fully accommodate that change within 30 to 45 minutes. If your furnace does not do so, it is likely experiencing a problem. A number of different things can result in slow furnace functionality. However, the most typical causes are thermostat malfunction, motor failure, and dirty vents. A pilot light is the flame that burns within a furnace. In order for a furnace to function properly, this light needs to be burning at all times. Should it ever go out, it will need to be reignited. Pilot lights might go out for a number of reasons. Sometimes, they’re simply blown out by a draft. However, in most cases, they’re experiencing either an impaired thermocouple, or a dirty pilot tube. Whatever the case may be, an HVAC repair specialist can help you. Is your furnace demonstrating any of the above-reviewed signs? Looking to utilize professional furnace repair in Lisle, Illinois? If so, Hearthstone Heating & Air Conditioning is the company to call. In business since 1996, we’ve repaired a wide variety of furnaces throughout the Lisle area. Our team of highly-skilled HVAC technicians looks forward to helping you. I appreciate what you said about pilot lights going out for a number of reasons. I believe that heating repairs should be administered quickly. If I were to need such services, I would contact a reliable contractor.